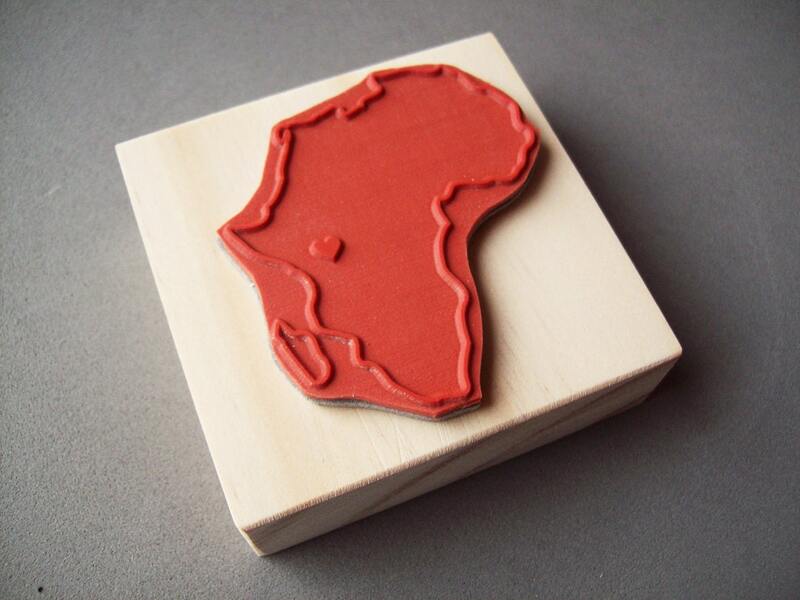 Customize this stamp into any country or continent of your choice. 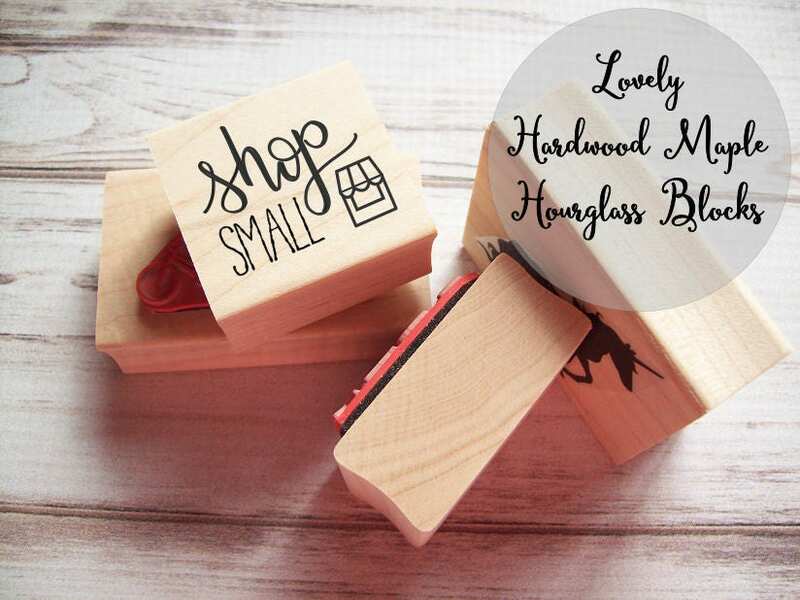 Perfect for making keepsakes of your wedding, adoption, or travels! Select from the drop-down whether you would like an outlined shape or a solid shape. 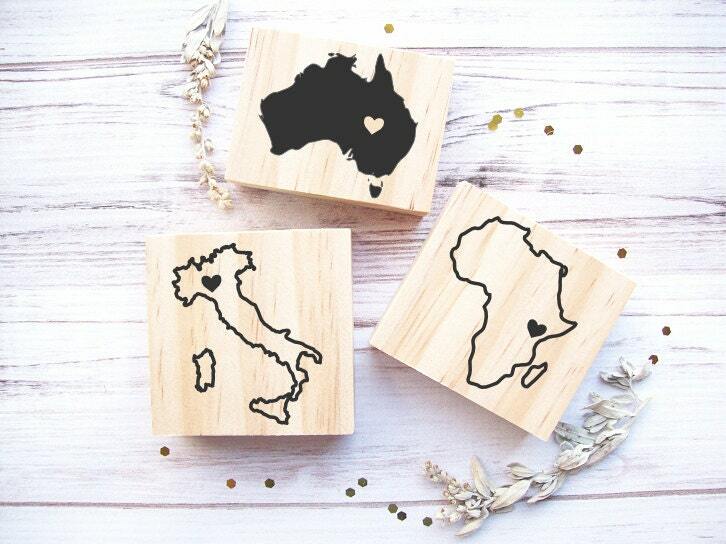 Type in to the personalization box what country/continent you want and where you want the heart located.